China, Pakistan Agree to Conduct Bilateral Trade in Yuan - Integration Through Media ....! 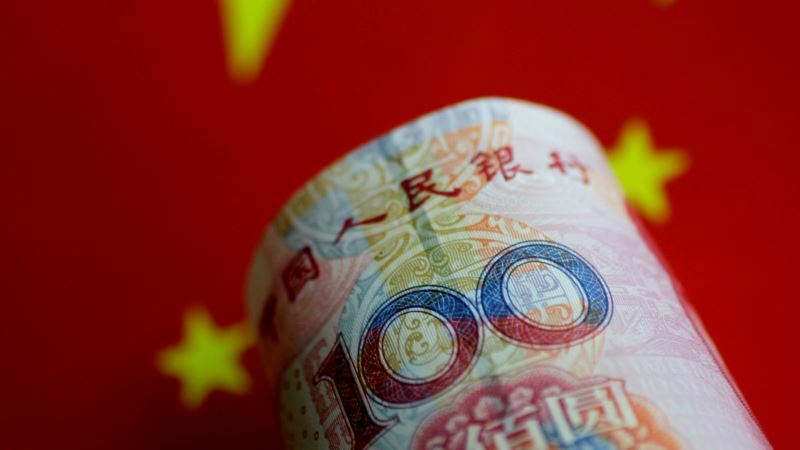 (VOA): China has agreed to carry out bilateral trade with Pakistan in the Chinese yuan instead of the U.S. dollar to help ease the South Asian ally's financial and economic woes. The unprecedented Chinese concession, officials and economists said, would go a long way in addressing Islamabad’s massive 87-percent trade deficit with Beijing and reducing pressure on Pakistan's depleting foreign currency reserves. “The agreement is part of practical steps being taken [by China] to support our [foreign] currency [reserves],” said Pakistani Information Minister Fawad Chaudhry. He told reporters in Islamabad the “historic” deal was concluded along with more than a dozen others during Pakistani Prime Minister Imran Khan’s four-day official visit to Beijing, which ended Monday. The annual trade volume between the two countries is about $15 billion, of which Chinese exports to Pakistan are estimated at around $13 billion. Pakistan’s foreign exchange reserves have lately fallen to less than $8 billion and the country urgently needs about $12 billion to service foreign debts and pay for imports. The central State Bank of Pakistan has already declared Yuan as an approved foreign exchange for all purposes in the country. Information Minister Chaudhry said the Chinese government separately has also offered an economic package to Pakistan, and its details will be announced Tuesday when Khan's delegation returns home. Reports said the proposed package includes $3 billion in Chinese grants and loans, while another $3 billion will be given for investment under the China-Pakistan Economic Corridor (CPEC) infrastructure building project, a centerpiece of Beijing’s global Belt and Road Initiative (BRI). The Chinese financial relief is being negotiated amid U.S.-led criticism and skepticism that unfair loans under CPEC are contributing to Pakistan’s balance of payments crisis. China and Pakistan reject the criticism as baseless and part of propaganda against both CPEC andBRI. Khan’s nascent government last month secured a financial package of more than $6 billion from Pakistan’s staunch ally Saudi Arabia. Under the deal, Saudis will lend $3 billion and would allow Islamabad to import oil worth more than $3 billion on deferred payments over the next three years. Officials say the United Arab Emirates is also considering economic relief to Pakistan similar to what Saudi Arabia has pledged. Prime Minister Khan has said the funds being secured from the three friendly countries will enable Pakistan not to seek a major bailout package from the International Monetary Fund (IMF) to meet the country’s immediately liabilities. An IMF team is due to arrive in Islamabad later this week to open formal talks with the Pakistani government on the subject.